On the easy days (there are many and they are getting easier and easier) I'm not bothered by the absence of eggs. I've found so many ways to duplicate them that I'm starting to think that cooks who put them in everything are just lazy. Ha. On the hard days (and there are still some of those) I'm reminded that this way of life, this diet, is a choice. Hard boiled and fried eggs remind me of this. I still want those things, but I choose not to have them. On the hard days, especially when eating out, I can feel like I'm reduced not to choices I make, but choices that others make for me. But an egg cooked in the most basic of ways reminds me that I'm the one doing the choosing. How easy would it be to just crack a few into a smidge of hot oil? Easy. Really, really easy. "Black salt, which Isa highly recommends for this recipe, smells and tastes EXACTLY like eggs. Seriously. I hunted down a pack at a local Indian market, and I was blown away by the smell of eggs when I tore open the pack. I sampled a little on my finger, and I was swept back to my childhood Thanksgivings, when I ate way too many of mom's deviled eggs. It is that good." I had to find some. So, before Christmas, I went running around all over town and didn't find it. Then I went on Christmas vacation (in this town of like 10,000 people) and found the stuff at a health food store while I was hunting down semolina flour for my vegan tortellini. I mean, there it literally was, front and center at my eye level when I walked in the store. I walked right to it like it was calling my name and started jumping up and down like I'd just struck gold. It's a little bit confusing, too, because the salt is not black. It's pink. And there is another pink salt that is called black salt that comes from Hawaii and I do not think that it does the same thing or smells sulphury like this stuff. So be careful out there when choosing. The recipe that I use most often for the scramble is the one from Vegan with a Vengeance (p. 12 or here on her site). I just add the black salt in place of the regular salt called for in the spice blend. I also omit the mushrooms and usually add a sliced jalapeño. I also have made it without the yeast and it was great. I kind of prefer it that way. 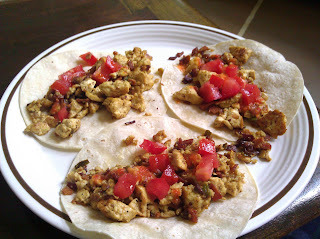 The above picture is of this recipe plus tomatoes and some crumbled up Smart Bacon on white corn tortillas. Vegan Tofu Scramble Recipe - This one is from Jolinda Hackett, who is a fellow Guide with me at about.com. I like this one because it's heavy on the green peppers and onions and that's all I have to chop. 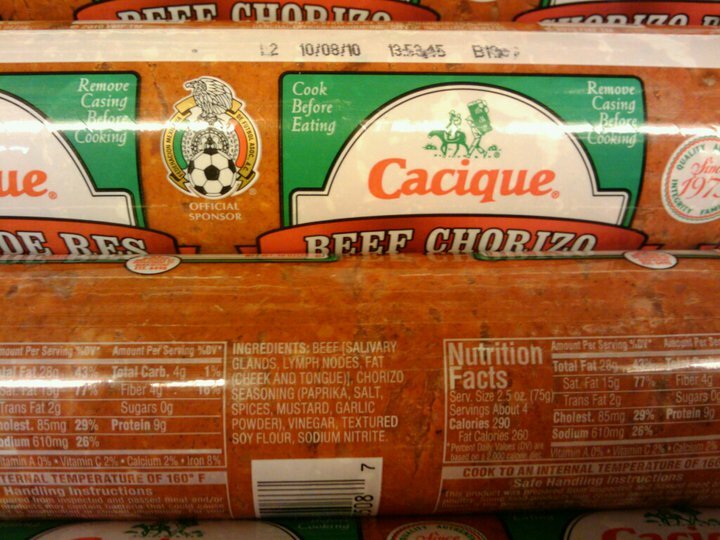 This one makes great filling for breakfast burritos. She's got some other scrambles listed here including a curry w/ spinach scramble. Even when I was eating meat, I wasn't too keen on lymph nodes, salivary glands or tongue and cheek fat. (All that and nitrites, too?) Thank God those days are over. This recipe has edamame in it, also uses black salt and calls for double cream (which you should leave out if you're vegan, obviously). I haven't made this one (it's on my list to try) but I think it would be good with something creamy, so I'm going to try adding a little bit of Earth Balance plus cashew cream or Mimicream and see if that works. If you've got a favorite scramble recipe, blog entry or tip, please do share! My next "egg" challenge will be something like this.